An experimental and totally do-it-yourself campaign by Founding Editor & Creative Director, Charles Champagne. Why #allthefills? What does it mean? 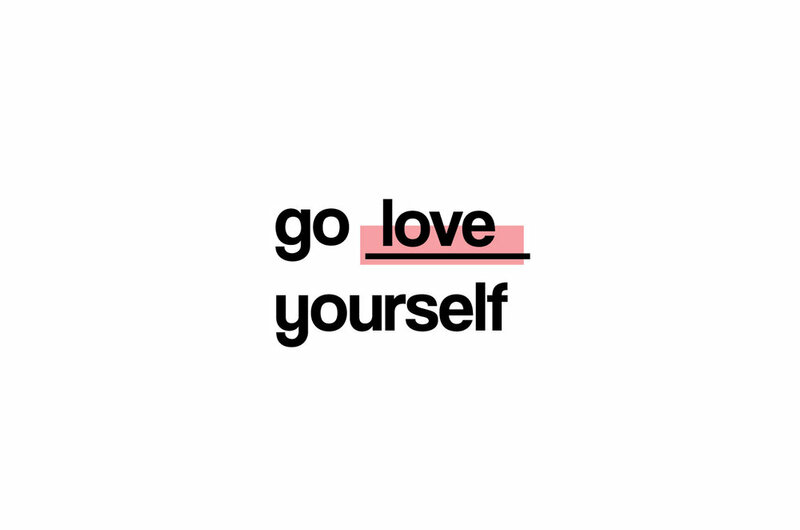 The intention behind the Go _____ Yourself campaign is to create something that would grab the viewer's attention, while also being ambiguous enough to allow for their own interpretation. I also wanted this idea to parallel the concept of people having their own interpretation of what a "queer" person is, as well as their misconceptions about the queer community. Like most people seeing the title of our campaign, they may have assumed the blank could stand for "go f*** yourself". However, throughout 2018 we will be filling in the blanks with different call-to-actions in order to grab people's attention and encourage engagement with our audience, while increasing our brand awareness. Below you will find our creative #allthefills initiatives where we share, collaborate, and celebrate local queer pride with our local communities. Leur Magazine wants you to always remember, that no matter how high or low your love tank may be today, we think that you are perfectly lovely just the way you are. When you learn to love yourself, you learn how to navigate and appreciate the various, and sometimes complex, intimate relationships in your life. Including the most important relationship of them all; The one with yourself. 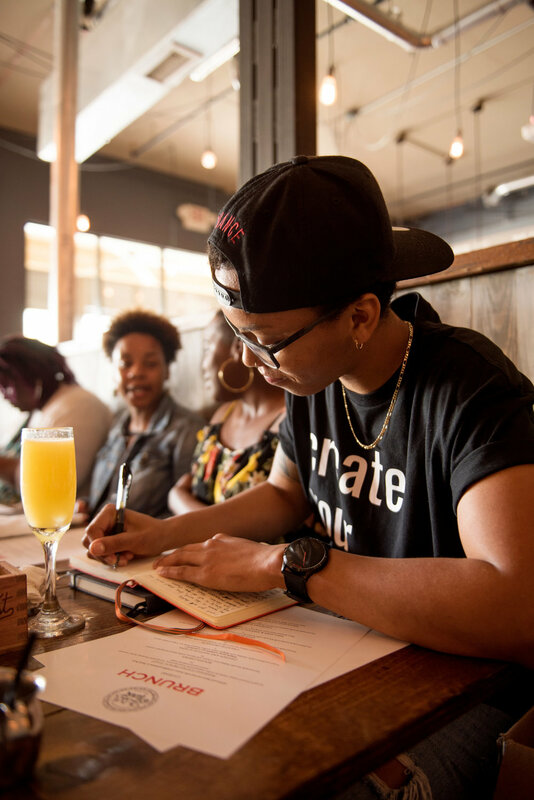 Check out the photo gallery from Queer Black Coffee and you'll get to read the powerful words of Black Girl Masculine's Founder & Creative Director, Tia Banks. We can't change the world alone, but dammit we will try. Welcome to our "Go Fund Yourself" initiative. This initiative is one of the many call-to-actions put on by us here at LEUR Magazine, an LGBTQIA+ Arts & Culture magazine based in Baton Rouge, Louisiana. This fundraiser aims to raise funds for the future production and development of Leur as a creative queer brand here in the South. We are in the hopes of raising $7,000 in order to produce our upcoming biannual issues 04 and 05. Two-thirds of the funding will go to printing, where as the rest will be put toward providing production materials for our biggest annual event, ArtsFest. The impact of this fundraiser is providing validation, affirmation, and motivation for our local queer creative communities here in the South. Most people assume the queer community here in the Southern United States are quiet and live in the shadows, where in reality our local queer communities continue to thrive everyday. As someone who has spent the past five years working multiple part-time and full-time jobs in order to support LEUR, it is always comforting to know that I have a community to lean on when I need support and motivation. In the queer creative community, is where I feel the most at home. Every experience of universal self-affirmation and validation has been during moments where I was involved in something LEUR related. Thank you to everyone who donated! Perks will he shipped in two weeks. Come with your own interpretations and leave your misconceptions at the door. LEUR magazine presents Go _____ Yourself, a community art exhibition in celebration of PRIDE. Join us in celebrating local queer artists, allies, and their expressions of self, at the Firehouse Gallery located on the second floor of the Arts Council of Greater Baton Rouge. Upon first glance of our show's title you have already assumed the word that fills in the blank. However, if you take the time to learn more about LEUR Magazine's current brand awareness campaign you would see that at its core, Go _____ Yourself is all about possibility. It is an open-ended blank of possibility that leads to a better understanding of something that you originally had a misconception about. Even yourself. You can be whoever you want to be. You can create whatever you want to create. What you do is up to you, so express it with pride. In efforts to spread awareness of the exhibition and LEUR Magazine, Mia Estrada, Arts Council Director of Artists Resources, had Kelsey Livingston, Arts Council Visual Arts Curator, and myself on the Arts Council morning radio show to talk all things #allthefills. PRIDE is a season of celebration. On Saturday, June 16 LEUR Magazine hosted the second-annual queer arts festival during the Baton Rouge Pride Festival held at the Raising Canes River Center. ArtsFest celebrates local queer artists and makers and allows them to showcase their work to the pride festival attendees. 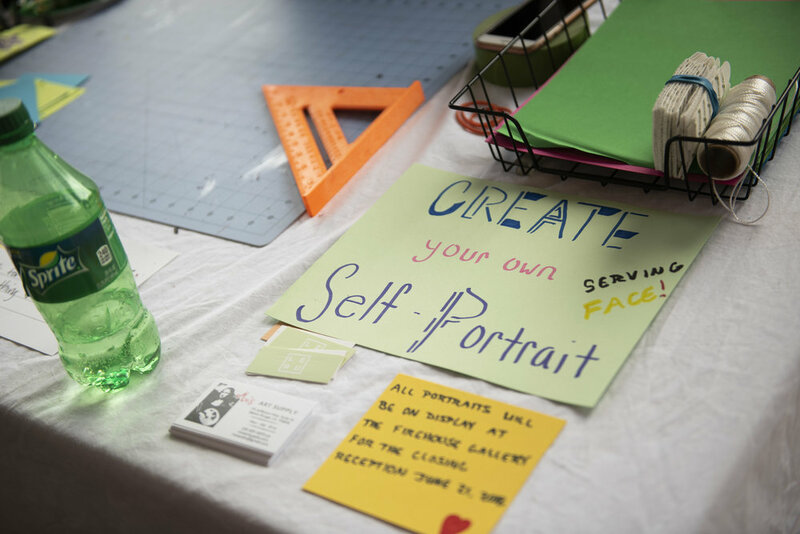 In efforts to continue promoting our current online brand awareness campaign, #allthefills, we invited festival attendees to create self-portraits of themselves and reflect on what it is that inspires them to be their best selves. Special thanks to Mo’s Art Supply for sponsoring this event with donated art supplies.